In order to further enrich the leisure life of employees, strengthen team building, and enhance the cohesion and centripetal force of employees. On November 17,the company organized a group construction activity . 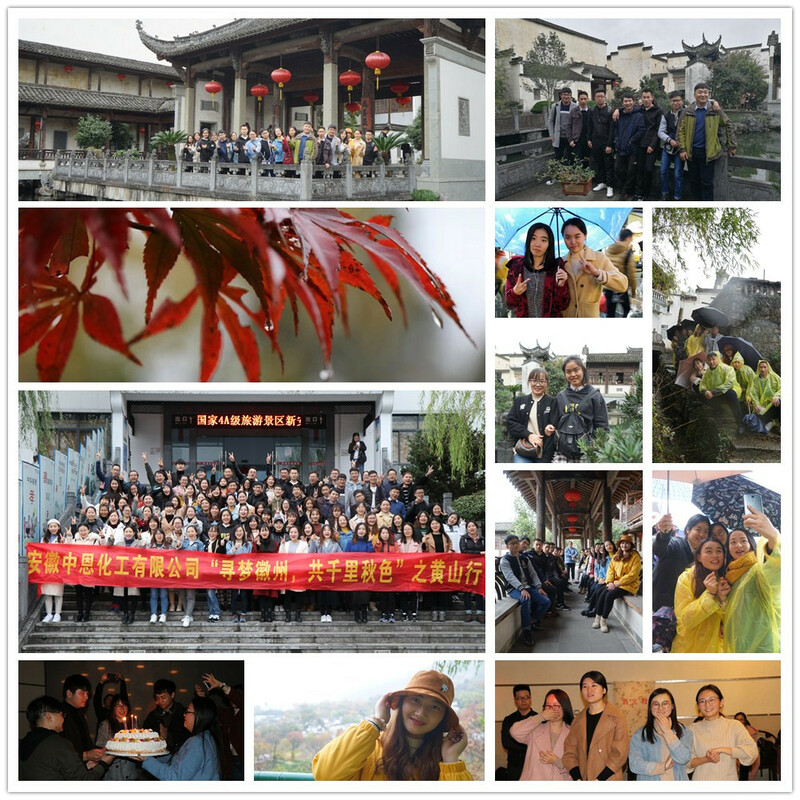 A total of more than 90 employees went to the scenic huangshan city for a 2-day group construction activity. The tour of huangshan mountain covers tunxi laojie, hongcun ancient villages, tachuan and other different scenery spots. The well-preserved ancient architecture of the Anhui style make people intoxicated and reluctant to leave. The group construction activity promoted the communication between different departments, further enhanced the team cohesion, promoted the steady construction of enterprise culture, delighted the mood of employees, encouraged everyone's morale, and played a positive role in further enhancing the team cohesion.